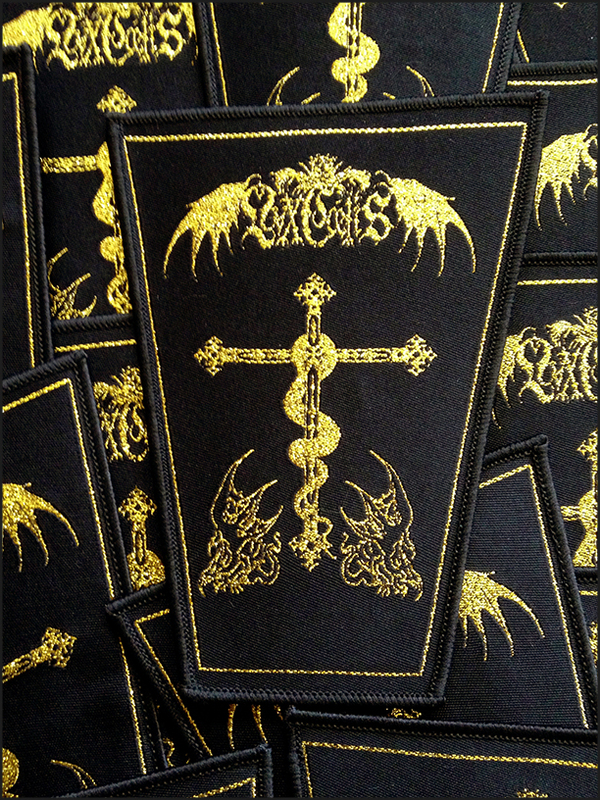 LVXCAELIS 'Nigredo - The Dead Head' sigil patch. 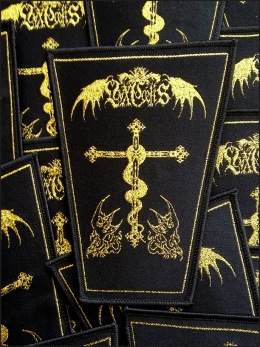 Deluxe trapezoidal woven patch. 13 x 7 cms. 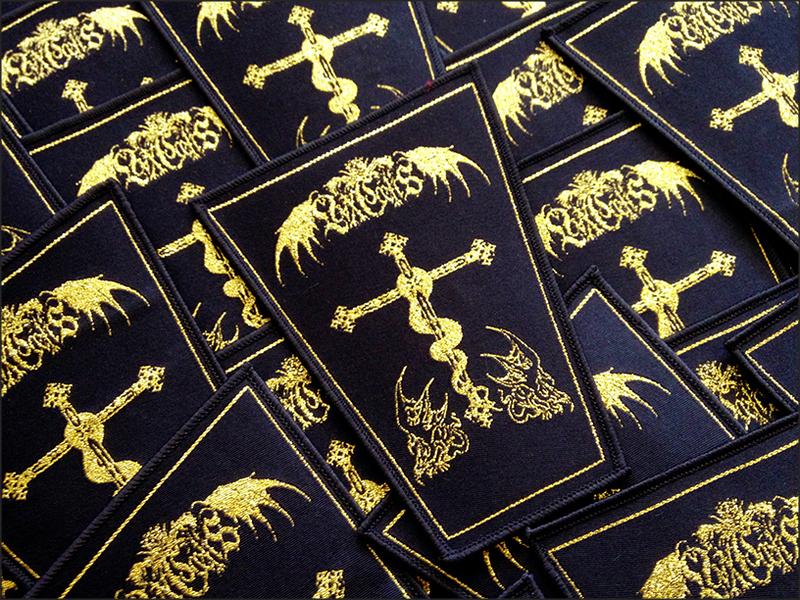 Gold thread.